There are many different insulation products on the market and many people don’t know just what they are or why they may be relevant for the application that may need fulfilling. One product that is extremely popular and extremely energy efficient is blown in insulation. Commonly known as loose fill insulation, it is installed in areas where no insulation is present or an insulation supplement to current insulation is required through blown in insulation. AM Insulation Solutions offers quality blown in insulation services. Blown in insulation is made up of loose particles that blown in an attic via special equipment and those particles trap air to create a blanket of protection of blown in insulation. The blanket of protection is one of the main benefits of blown in insulation because it will dramatically increase the R-value of your attic insulation because blown insulation can get into cracks and crevices in your attic that traditional batting can’t cover adequately. 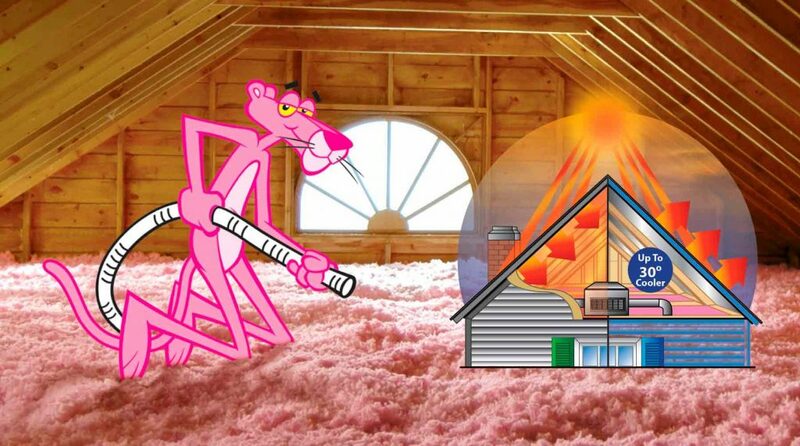 When you install blown in insulation in your attic and you chose Owens Corning EcoTouch Pink insulation, you should know it is the most environmentally friendly product on the market. EcoTouch pink insulation is made with 73 per cent recycled products that reduce material consumption to create the product and a reduction in energy to make the fiberglass insulation. When you install blown in insulation in your attic, you are using a product that is easy to install and the work can performed relatively quickly. In 1000 sq. 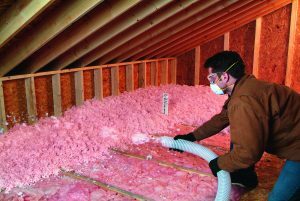 ft. attic, the process for blown in insulation can take as little as three hours to install and it is ‘clean’ installation with little cleanup after. Experts have told us many times that a roof leaks heat – up to 40 per cent of a home’s heat loss is directly related to the roof and poor attic insulation. When you install blown in insulation in your attic you can save between 20-30 per cent on your home’s heating and cooling bills and those savings are more than offset by the costs of the installation for blown in insulation. Certainly it is a good planning to increase your attic insulation to increase your thermal efficiency, but how much blown in insulation do I need and how is calculated? A professional insulation installer will be able to provide all the answers to those questions. Generally, to meet and or exceed minimum standards of R-30, some factors need to be taken into account. 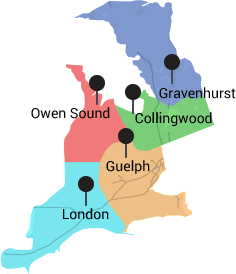 First, the climate of the region you live in can dramatically affect the amount of insulation you need to meet the minimum. Another factor for consideration is the size of the house and whether other efficiencies have been undertaken. If you are upgrading your attic insulation, you need to seal any leaks that produce air infiltration otherwise the attic insulation won’t provide the best results. The last factor to consider when determining the amount of insulation to use is your lifestyle. If you like to live in a tropical rain forest, then you will need more insulation than someone who is willing put on a sweater when the temperatures drop. One thing to bear in mind when you are making a decision for attic insulation is this: more is always better; to achieve higher cost savings and reduce energy consumption. Attic insulation is one project where cutting corners can have a disastrous effect in the end when trying to achieve energy efficiency.